I like the cheeky little wren on the farthing, but the difference in size between the two coins isn´t too impressive. 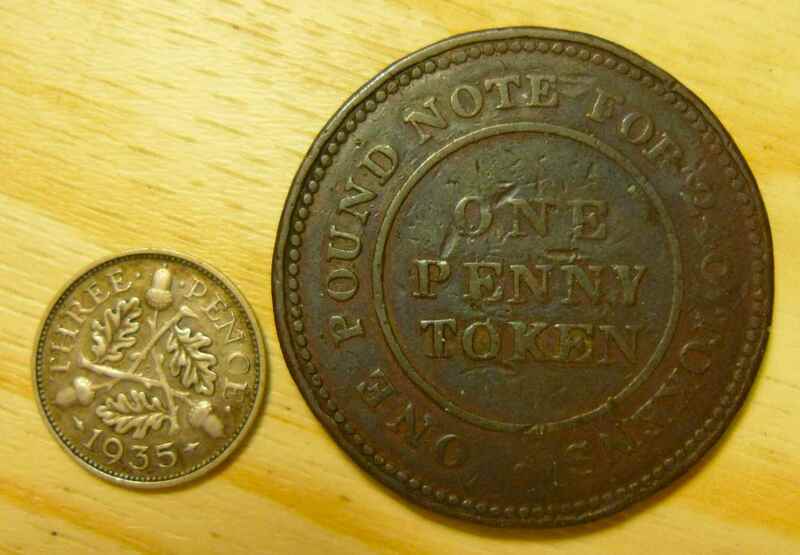 However, did you know that at least in the thirties, the farthing wasn´t actually the smallest diameter coin in the UK? 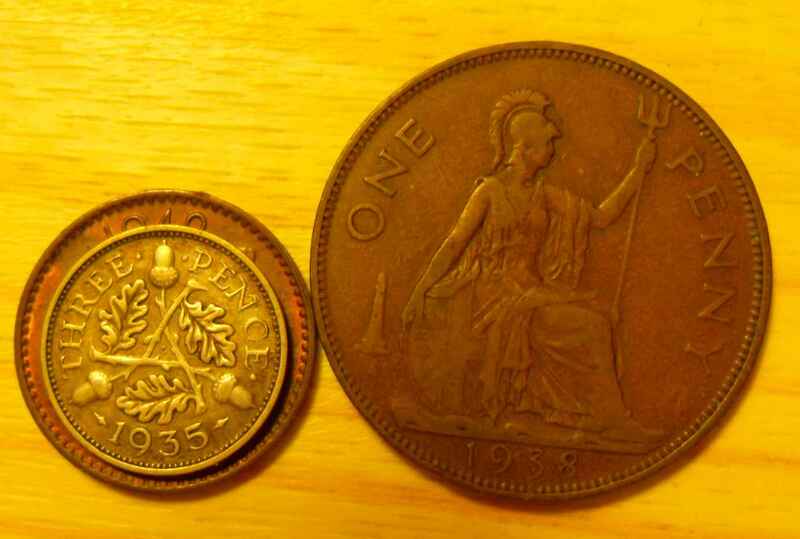 The threepence was still smaller. So should it really have been the Penny Threepence? 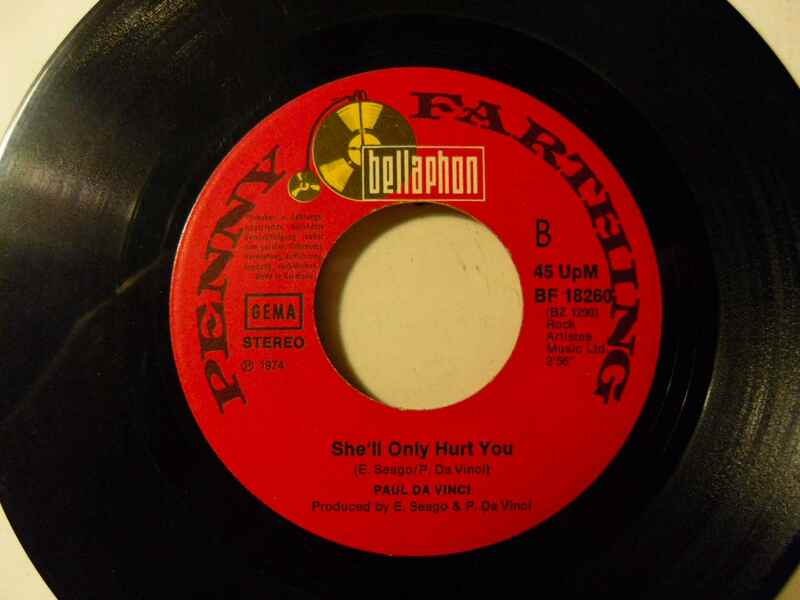 Sounds funny. 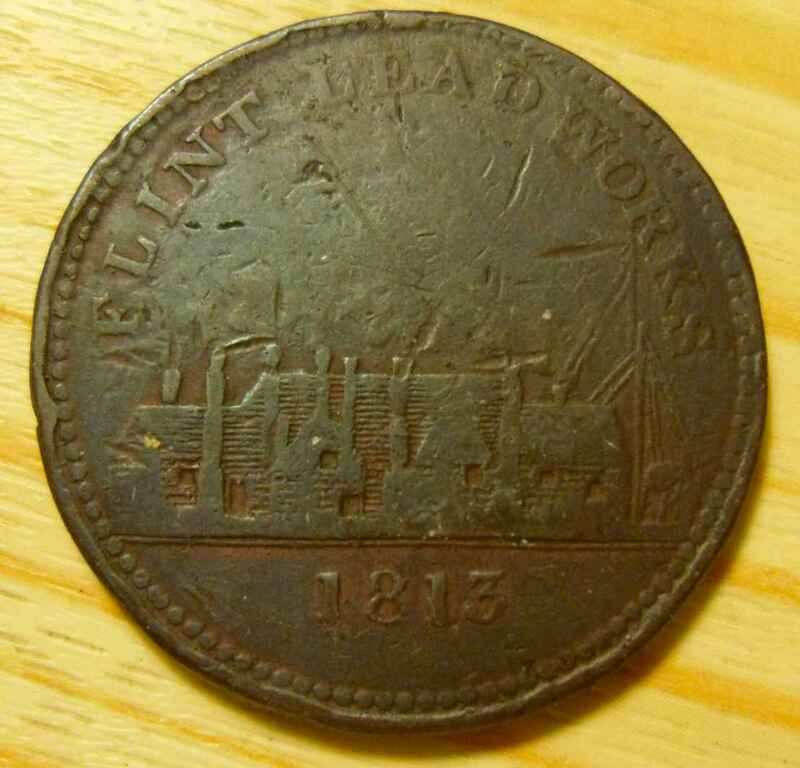 There´s a coin like token which is valued at a penny, issued by the Flint Lead Works in 1813, when coinage was scarce (I was told). Not surprisingly, the token is made from lead. What looks like a deranged carnival procession are the sorry remains of the Flint Lead Works buildings, after much biting and gambling by previous owners. 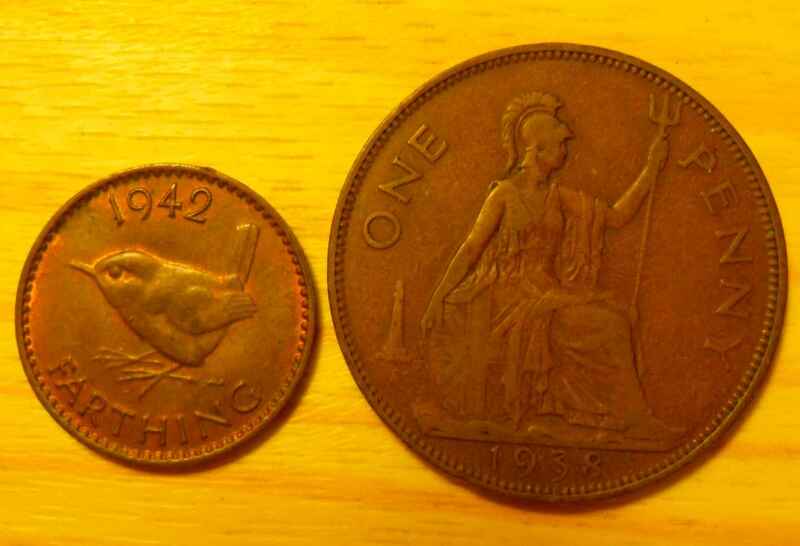 The penny token is still larger than a real penny from the thirties. 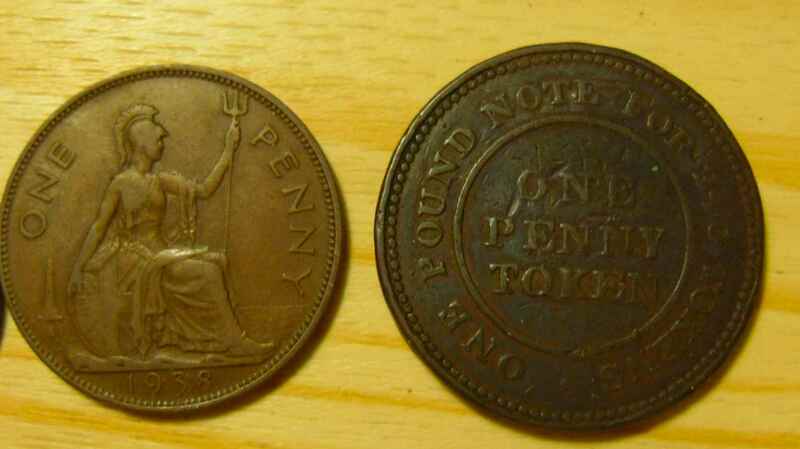 Should it be a Penny Token Threepence instead of a Penny Farthing? Size-wise we´re getting places, but the sound of the word doesn´t bear thinking about. Now you know why I never really liked Ordinaries. Some things don´t seem to age. Following a short discussion on the Classicrendezvous mailing list some weeks ago I thought it might be worthwhile to have another look at one of the most gripping cycling books there are. I can remember buying it (at a real bookshop, would you believe it) just after it came out in 1998. I had reason to take the bus into town that day, and I became so engrossed in the book that I nearly missed my stop on the way home. The same experience can be yours, if you don´t own the book already: It´s still available, which speaks for its quality. 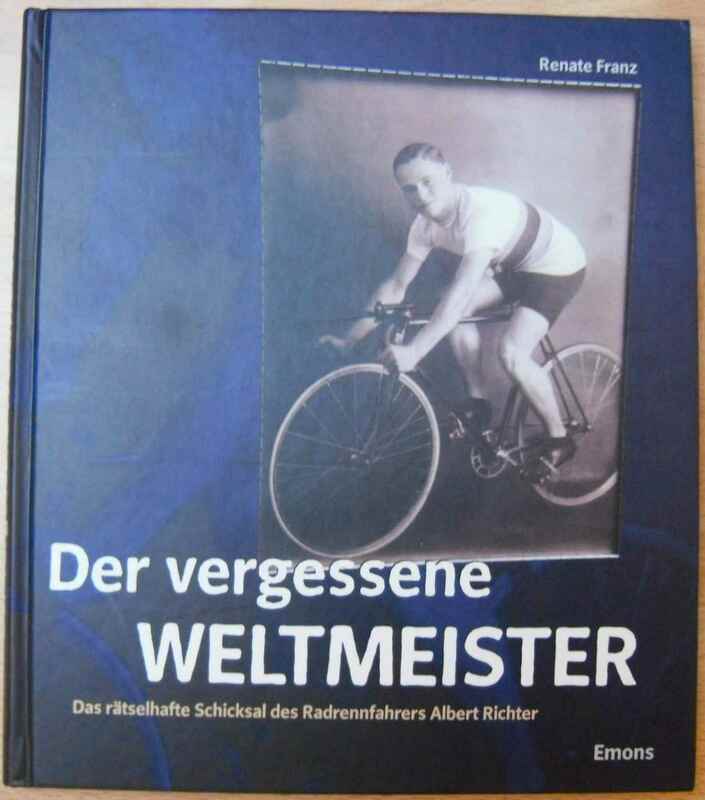 I´m talking about Renate Franz, Der vergessene Weltmeister (The forgotten World Champion). 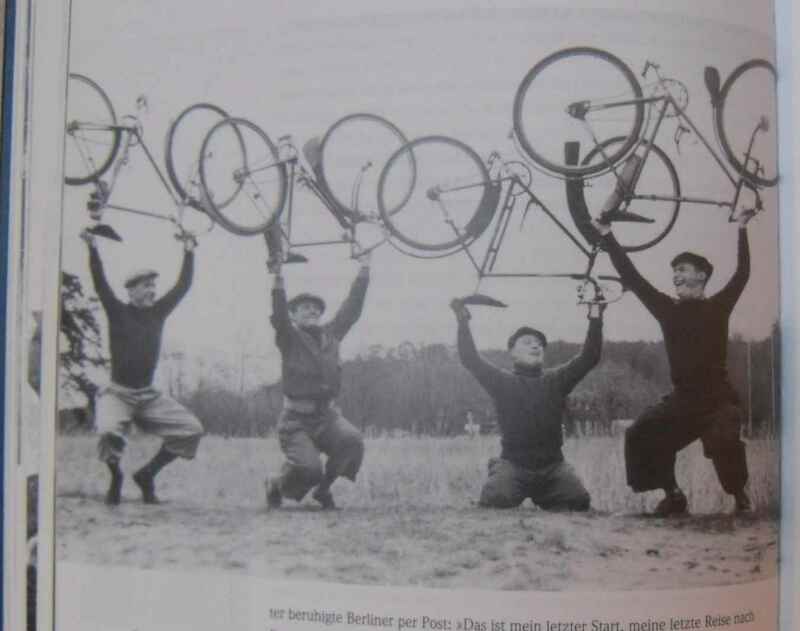 Renate´s book is full of pictures (actually some of them showing perfectly mouth watering track and road bikes) which makes it interesting also for the non-German speaking members of the cycling fraternity. 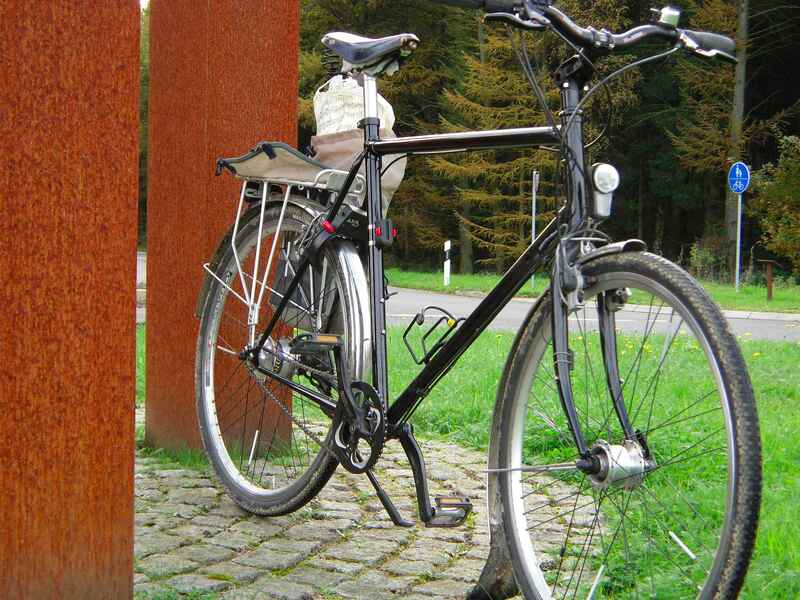 The story is about one of the most fascinating figures in German cycling, Albert Richter. Having worked his way to the very top on the track, he fell foul with the German fascist regime in the 30s, eventually being murdered by the Gestapo. Albert Richter was born in Cologne, Germany, in 1912. His talent became visible very quickly, although he had to train secretly and hide his prizes under his bed because his father strongly opposed Albert´s predilection for cycling. He soon discovered the fascination of the track and soared to heights which took him to world champion´s honours. 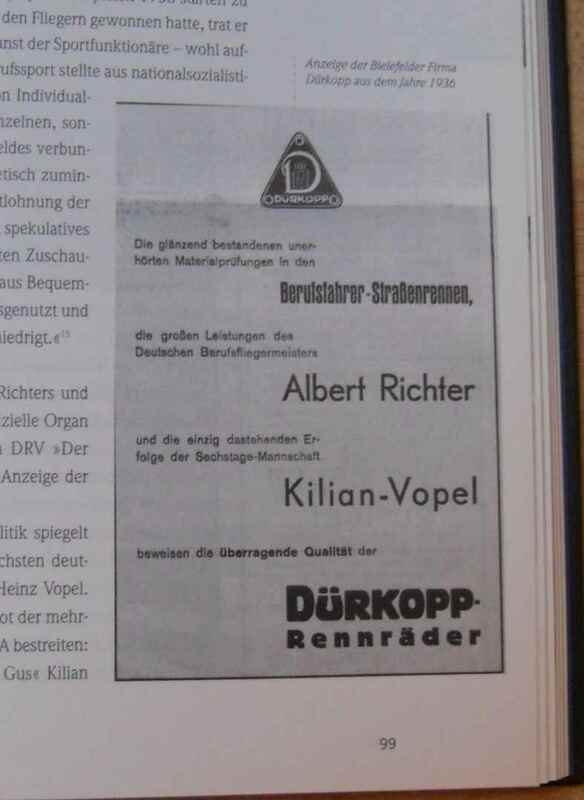 His name was mentioned in the same line as Kilian´s and Vopel´s. Richter came from a background which led him to oppose fascism. Poverty and a broken family did not make him into a willing subject of a dictatorial regime, neither did they hinder his rise in his sport. He was no hero on the political stage, but for instance more often than not refused to raise his right arm in greeting. 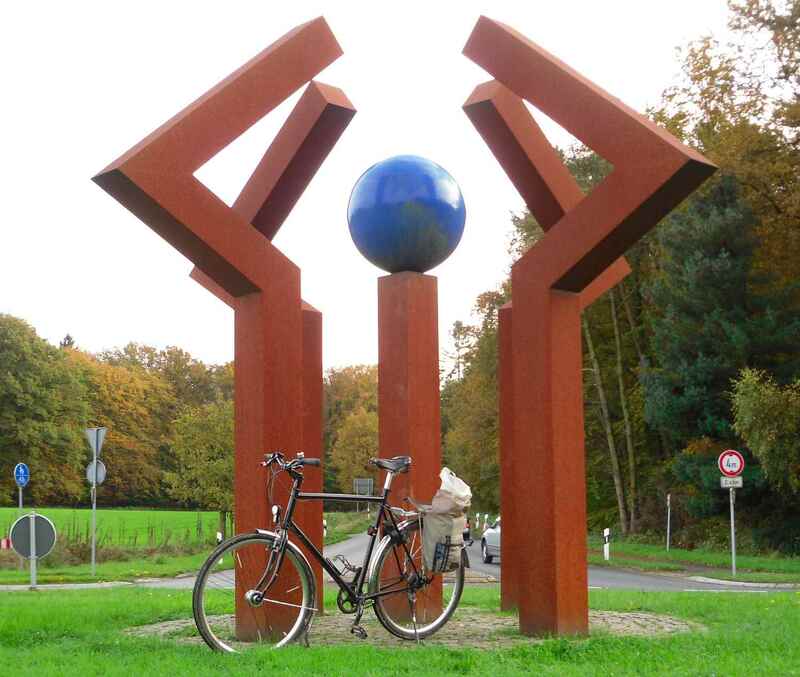 His biography starts with a vivid and precise description of the German cycling scene before Albert´s birth with a later chapter showcasing Cologne as one of the centres of German track cycling. The 40 pages of cycling history of Renate´s book became a role model for my own little volume on track racing which I started about the time hers appeared. Richter´s life is described in great detail, Renate manages to convey the atmosphere of those days really well and shows how Germany´s slow transition to a dictatorship was opposed by Richter. His stance towards international relations for example was that he had been received extremely well in France and could not go along with official German policy making enemies of all Frenchmen. Richter was one of those clear sighted people who won´t allow to let themselves to be taken in by any sort of hate propaganda. They provoked opposition then, and they still do with some people: Renate had some big problems in getting in touch with witnesses as well as relatives of the racers involved in Richter´s story. Some never broke their silence, others did, going as far as to give away photos straight out of their family albums. Renate needed them as some of Germany´s major collectors and private archive owners flatly refused to cooperate. 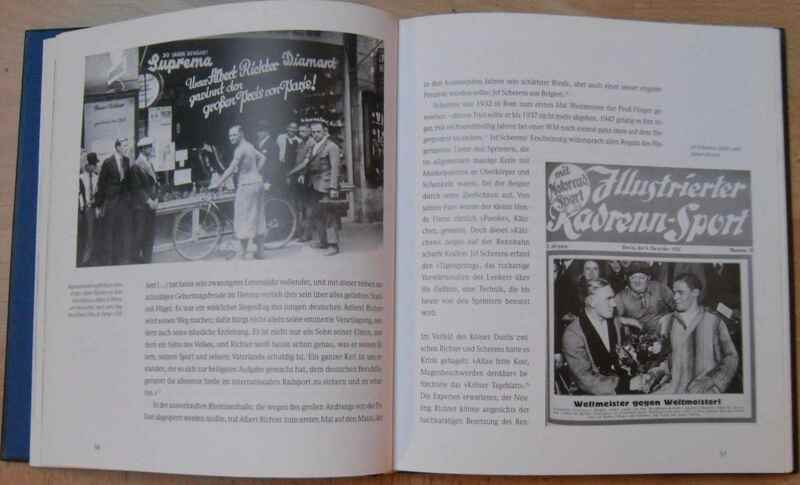 At least in the early nineties, when the research for the book was done, Germany´s past had not been over. The more praise is due to Renate and her co-authors Andreas Hupke and Bernd Hempelmann for persevering with their project. OTOH, she says that a number of great friendships developed from the work on the book. Also Richter´s relationship to his manager Ernst Berliner is remakable in that Richter kept assisting Berliner even after he had to leave Germany for reasons of Berliner being a Jew. 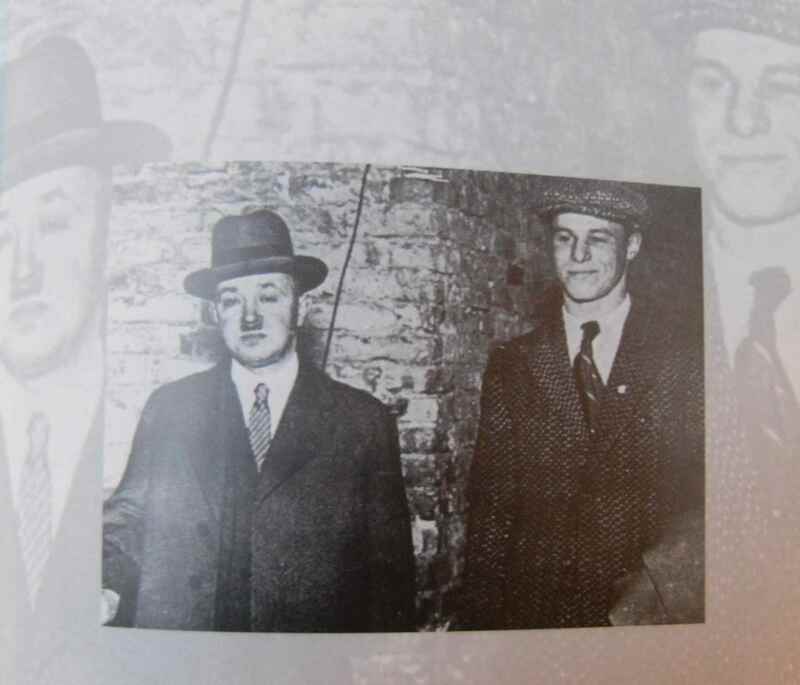 This and the fact that Richter smuggled funds out of Germany in order to help his emigré friends led to Richter´s arrest on December 31, 1939, when caught with money sewn into his track tubulars on the way to a Swiss engagement. Richter was murdered by Gestapo agents a short time after, and a hate campaign began against him in the German press. His name was expurgated from the annals that successfully that – in Western Germany at least – his name was not well known until more than half a century later when a newly built race track was named after him in 1995. In part this was due to Renate´s work. In the GDR, however, Richter was known better. The book turns into a real life detective story when Renate relates the reasons for Richter´s death: He was arrested despite the professional hiding place for the smuggled money, and it seems that he was betrayed by some of his cycling competitors who, besides having personal grudges against Richter, found it hard to accept that he, one of the best track cyclists of his day, would not give in to the Nazis. A great book on a great personality. 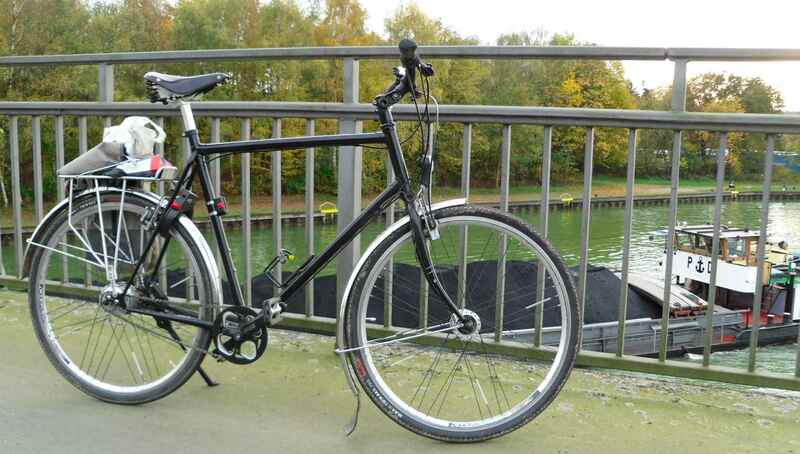 In cases like this, (see https://starostneradost.wordpress.com/2013/08/17/rohloff-test/ and https://starostneradost.wordpress.com/2013/11/17/rohloff-test-part-2/) the less one has to say the better – and there is not much to say. Rohloff themselves don´t give a run in mileage, but if you ask how long you should wait until panicking over the noise, they mention 1.500 km. So after having covered roughly this mileage, and nearly a year after my last report on the hub, I guess it´s time for an update. There´s some whirring noise still, especially in gears 1 to 8. This has to be accepted it seems, and is not as bad as it used to be – or possibly I´m getting used to it, don´t know. 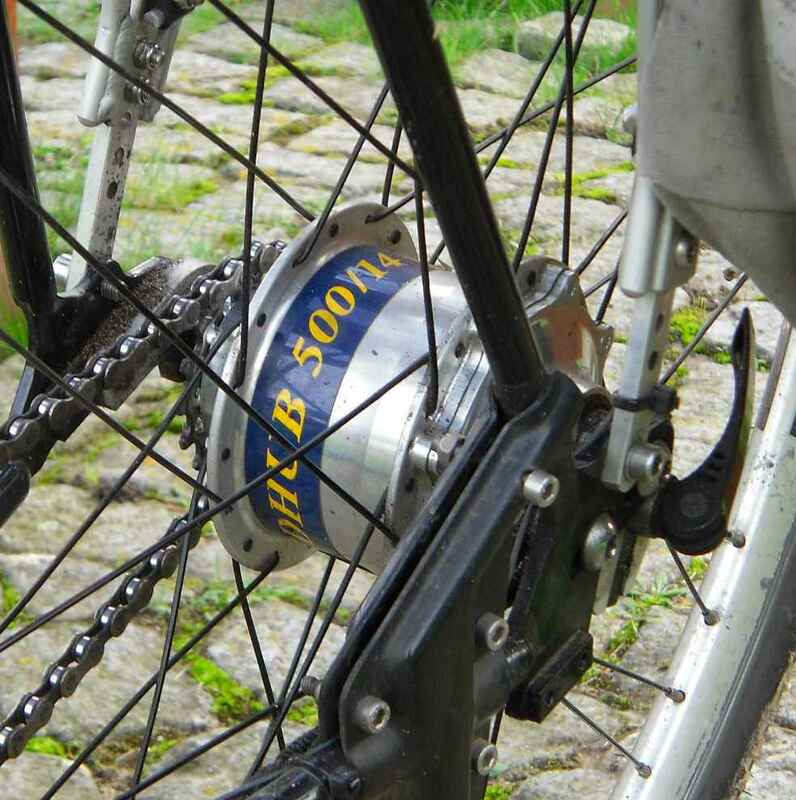 Gearchange is smooth and easy – a cycle dealer who has sold loads of Rohloffs told me some time ago that they all vary in this respect and that my hub is especially good. Good. 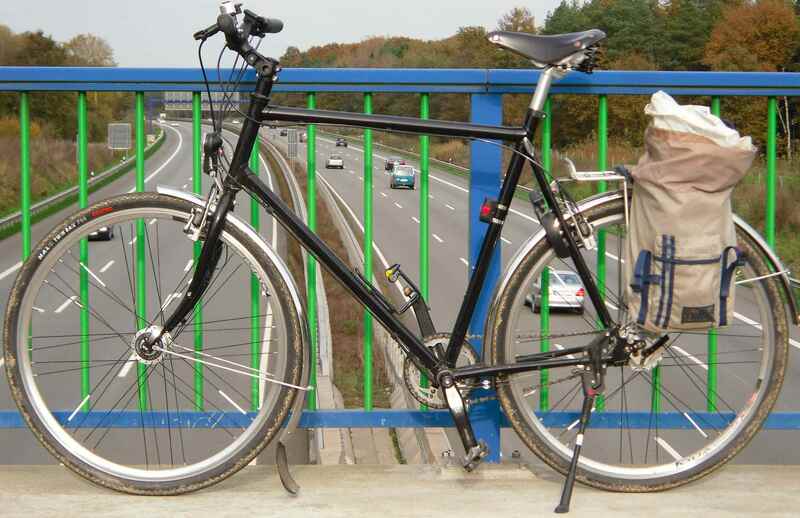 On today´s ride I had a puncture in the rear tyre – daft. However, it made me realize how easily the wheel with the OEM hub can be removed and refitted. Undo Magura brake half, undo toggle cables (again very smooth and easy if you know how*, contrary to what you sometimes read on the net), open quick release lever, remove chain from sprocket – bingo. Takes less time doing than writing down. Refitting is not much slower, either. Great stuff, also the Maguras. 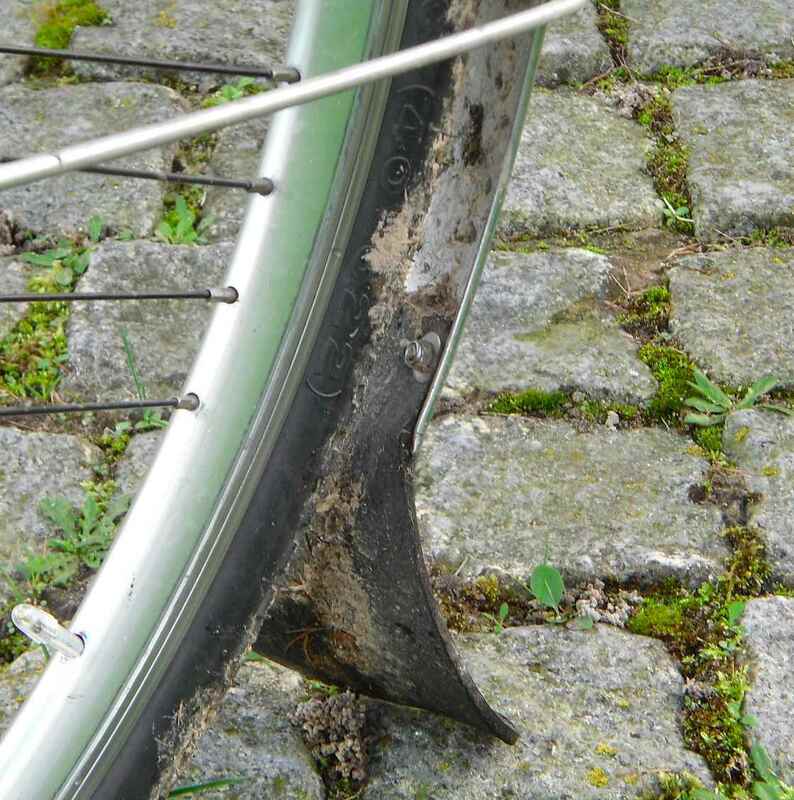 Front mudguard is slipping down – need to check that. Isn´t rubbing on anything yet, but looks ugly. When removing the wheel I also found that there is a slight oil leak again – I had been wondering about the toggle cables being oily of late. Won´t bother to have it done, though – there´s no oil on the basement floor yet. the hub quite clearly comes into its own. 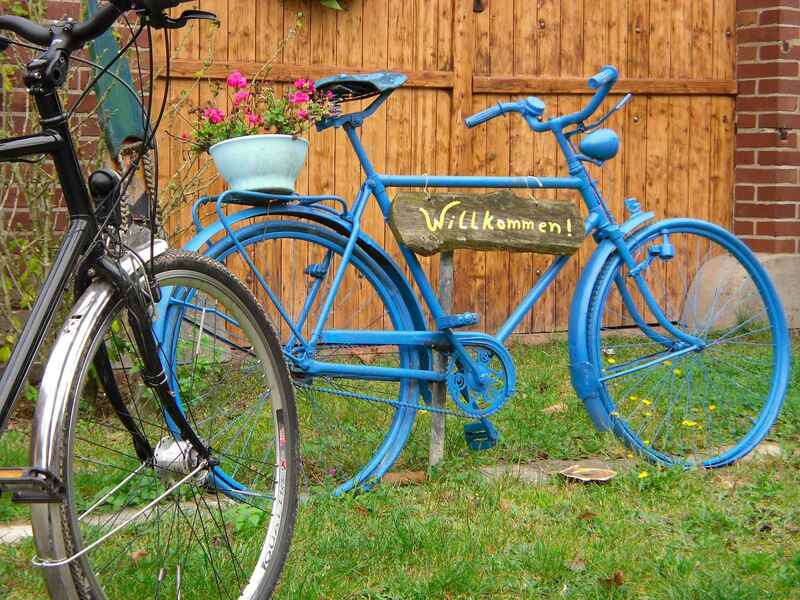 It´s the age old argument in favour of all geared hubs. Also the sheer fun of using one of the most complicated yet reliable mechs in the cycling world is something I personally savour. * Don´t grip the clutches by their stainless steel springs, you´ll block them that way.